I can think of nothing in the school day more authentic, more differentiated, and more essential than the joyful time when students nestle in with self-selected texts for high-volume, high-success reading (Allington, 2009). Whether you call it independent reading, read-to-self (Moser and Boushey, 2014) or reading workshop, engagement is the priority for readers at every age and stage of development. This is the time of day students can grow leaps and bounds, applying what they’ve learned elsewhere to texts they are personally invested in. Yet, sometimes getting and keeping a whole classroom of diverse readers settled in and reading for real can be a challenge. And of course, if they aren’t engaged, this becomes nothing more than lost time. So, what can you do to maximize every reader’s engagement during independent reading? Below are five suggestions to help you do just that (and without points, prizes, or prodding). Confer every day as much as you’re able. When you confer, you pull up alongside a student in order to offer your partnership as a fellow reader. You engage in authentic, in-the-moment assessment, through observation and conversation. You listen with openness and empathy, working to identify interests, successes, and struggles. You celebrate efforts and strategic actions, nudge students forward toward next steps, and help them make plans and set goals to help themselves as readers. Regular conferring gives you a front row view of a child’s reading life; positioning you to make wise decisions for instruction across the literacy framework, including future conferences, flexible small groups, and whole group instruction. Without regular conferring, it’s unlikely that you’ll ever leverage the full power of self-selected independent reading. Conferring is just that powerful. Engagement during independent reading begins and ends with the books students hold in their hands, as well as those they’ve selected for standby. 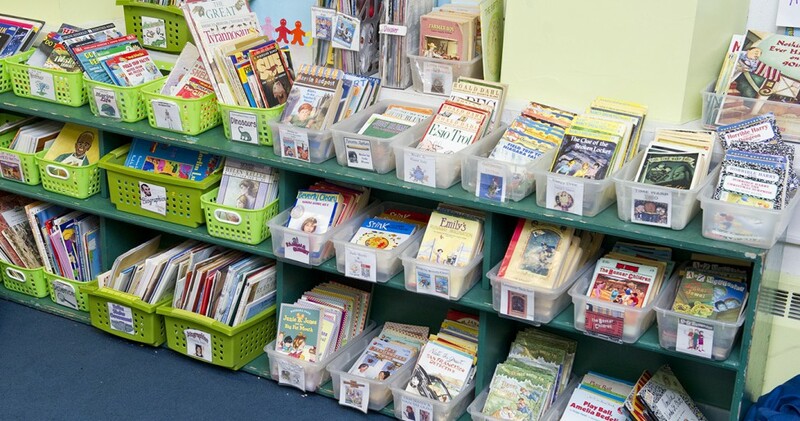 Whether it’s a fancy basket, a simple plastic storage bag, or a cereal box, having portable personalized collections at their side provides students a direct link to engagement for independent reading. When every reader chooses and regularly curates their own good-ft collection, they will always have a variety of topics, authors, genres, lengths, and levels at their fingertips. When a reader finishes or needs a break from one book there’s no need to go searching; he can simply reach into his box to find something else. So, if you’re worried about engagement you’ll want to start by getting curious about that reader has chosen for this collection. A quick conference to get a peek in the book box and have some conversation with the reader can provide loads of information. Find out what kind of texts they’re truly excited about and which texts aren’t really working for them, then provide strategic support. Every choice a child makes can provide clues as you work toward helping the student become a more strategic book shopper. Book choice deserves more than a few quick lessons in the fall of the year; it is crucial work that goes on throughout the year. Helping students become savvy book selectors can be a messy business, but is essential if they are to be able to carry on a reading life in the real world. Helping readers develop their capacity to regularly find books worthy of their time and attention – books that they both can and want to read- is a critical skill; one worthy of our time and attention. Bless many ways to read a book. If every reader in the class is expected to read every book word-by-word, page-by-page, cover-to-cover engagement is likely to suffer for all readers, but particularly for readers who don’t yet have the skills or stamina for processing long stretches of text. However, when you make room for young readers to have choice not only about what to read, but also about how to read the books they’ve chosen, you open up a world of possibilities for meaning-making and critical thinking. To raise engagement levels of all readers, consider teaching students other ways to read a book such as read the pictures, retell, reread favorite parts, reread the whole book, choose sections of interest, focus on features, alternate time spent reading a more challenging text with time spent reading a more comfortable text, and occasionally decide to abandon a book altogether. Be sure the classroom library is well-stocked and well-organized. Healthy independent reading practices develop in the context of a thriving, growing classroom library. The library, like all living things, needs regular attention including grooming, feeding, and occasional weeding. Take a moment and step into your classroom library. Imagine yourself shopping for books there each week. Is the collection inviting, well-stocked and well-organized or has the school year taken its toll? Are the baskets clearly labeled? Do they contain topics, authors, series, or genres that reflect the interests of every reader in the class? Without regular attention, classroom libraries can quickly fall into disarray, reducing, rather than increasing the likelihood that students leave the library equipped with good-fit texts. And when students leave the library texts they are less than excited about, you can be sure engagement will suffer. Regularly take time for reflection. How are we doing? What can we celebrate? What might we need to do differently? As a professional you likely use questions like these to you reflect on your practice, keeping the wheels of improvement in motion. But when you can involve your students you can multiply the positive effects of reflection. Taking just a few minutes at the close of independent reading to look back and reflect can serve invaluable in terms of shaping independent reading habits. As you scaffold reflective practices for your students, they learn to identify successes and struggles, learning from both and using what they notice to make intentional plans for the future. When we value reflection enough to take time for it even a few times per week, it impacts not only independent reading, but empowers students with a skill that can be applied to any setting or situation. Independent reading can and should be a joyful and productive time of day for all readers. With these five suggestions as starting points, more engaged independent reading can be within the reach of every child. Please join me at Literacy for All for more conversation about conferring with readers, embracing the messiness of choice, and taking your next move toward move toward high levels of engagement in a reader-centered classroom. Simple Starts: Making the Move to a Reader Centered Classroom, Heinemann, 2015. Allington, Richard L. 2009. What Really Matters in Response to Intervention: Research-Based Designs. Boston: Pearson. Boushey and Moser. 2014. The Daily 5 (Second Edition);Fostering Literacy Independence in the Elementary Grades. Portland, ME: Stenhouse. This week we have another wonderful book recommendation to share from the 2011 Literacy for All Conference, Featured Speaker Leah Mermelstein, Author and Consultant, Read-Write-Connect, INC., NY. As a reminder, We asked our speakers for (1) their favorite children’s book, (2) what stands out about this book for them as an educator, and (3) how they use it in their teaching. 1. 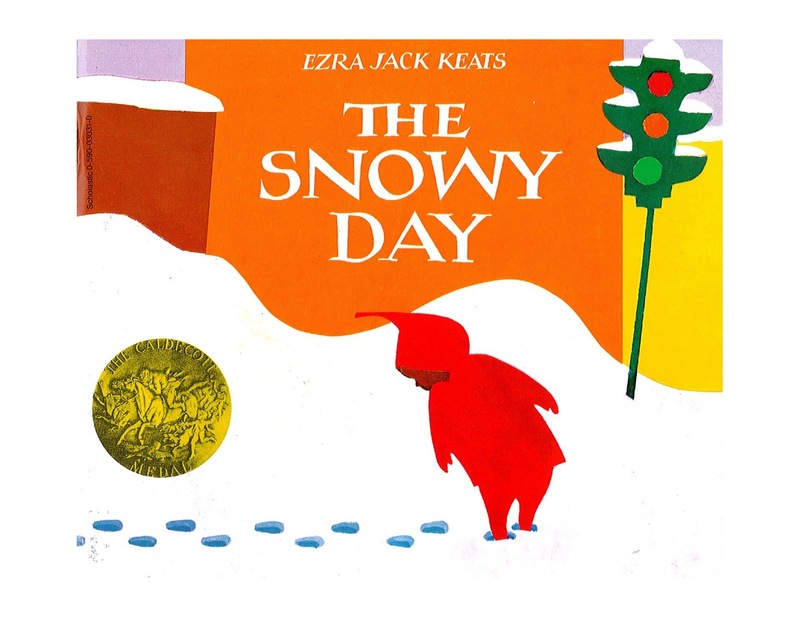 There are too many wonderful books out there to choose just one favorite book, but The Snowy Day by Ezra Jack Keats is one of my treasured books for the teaching of writing. I love this book for K-5 students. 2 This book is easily found in most schools and includes hundreds of writing craft techniques to teach kids. What makes it especially helpful is some of the techniques are simple, while others are more complex. 3. I have used this book to teach foreshadowing for upper elementary kids. Towards the end of book it says, “He picked up a handful of snow—and another, and still another. He packed it round and firm and put the snowball in his pocket for tomorrow. Then he went into the warm house.” I talk to kids about how Ezra Jack Keats more than likely purposely and strategically put the words “warm house” to get readers to predict what might happen next. I then encourage students to think about their own stories and see if there are places where they can purposely and strategically place words that will get their own readers predicting. The 22nd Annual Literacy for All Conference is just around the corner and what better way to introduce our speakers than sharing with you some of their favorite children’s books! We asked our speakers for (1) their favorite children’s book, (2) what stands out about this book for them as an educator, and (3) how they use it in their teaching. Keep checking in over the next couple months to see what they have to say! The first recommendation comes from Featured Speaker Lisa Miller. Lisa directs the Journalism Program at the University of New Hampshire. She has worked with elementary school students and elementary and middle school teachers on digital storytelling, and is the author of multiple books including Make Me a Story: Teaching Writing through Digital Storytelling (Stenhouse, 2010). 1) One of my favorite children’s books is “Owl Moon” by Jane Yolen, for ages 4-8; another is “The Day the Babies Crawled Away” by Peggy Rathman, for kindergarten to grade two. 2) Both books are beautifully written and illustrated. The text and illustrations in both work very well together to tell the stories. 3) I use these books in a digital storytelling class I teach for K-12 teachers, when we discuss how text and images can work together to tell a story, with the images complementing the text and telling parts of the story the text does not.